Strip your cloth diapers with RLR Laundry Treatment to remove detergent build up and odors. RLR Laundry Treatment is not a soap or cloth diaper washing detergent; it is a laundry treatment developed to strip build-up and "ammonia" odor from foul-smelling or leaky cloth diapers. Use RLR Laundry Detergent monthly for detergent build-up prevention or use whenever you need to restore absorption to your cloth diapers. As a laundry additive, RLR Laundry Treatment enhances the quality of your cloth diaper fabric without the use of detergent, bleach or bluing agents. RLR is also phosphate and perfume FREE and completely biodegradable. Let's face it, cloth diapers are not going to stay sparkly white forever; after all, they are intended to "catch" baby's messes. 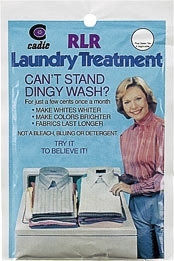 Still, there are ways to stretch their "nice" years and RLR Laundry Treatment is one of them. Cloth Diapers typically get dingy and gray because of detergent residue, dirt, and water mineral deposits that build-up on the diaper fabric. This can happen as part of any normal cloth diaper washing routine. RLR Laundry Treatment "strips" this build-up of unwanted minerals and suspends it in the laundry water until it can be rinsed away. 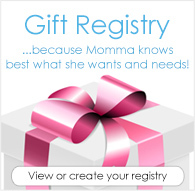 How do I Treat My Cloth Diapers with RLR? It is easy to treat your cloth diapers with RLR Laundry Detergent. Add the entire packet into your hot wash cycle without detergent or any other laundry additives. Continue repeating hot wash cycles until you can look in your top loader or view through the window of your front loader and not see ANY foam or suds; the water should be clear. Remember, you don't need to use RLR as part of your weekly cloth diaper washing routine; use once a month or when build-up occurs. Sold in packs of (3) three. This is the second time purchasing and I will never use anything else! I love this product! It worked wonders when I bought some pre-loved diapers, and has also been great when I had some build-up/stink issues. Very easy to use and effective, highly recommend! I've been using this product for years and it always works like a dream. Easy and cost effective. It's good for clothes and towels too. First time cloth mama here who was prepping some pre-loved prefolds with stubborn stains. I added one packet to a prep cycle and noticed a remarkable difference! I will be stocking up and adding to our wash routine. Easy to use with straight-forward directions yielding great results! We have very hard water and I had trouble finding a good routine when I first started. After switching to Tide and using RLR once every six weeks to our routine we've not had another problem with stinky diapers for over a year.